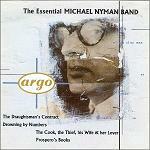 Michael Nyman followed a traditional music education at the Royal Academy of Music and King's College London. Apparently turning his back on Classical Music traditions, he spent some time collecting examples of Romanian Folk Music before moving behind the scenes to work as a musicologist and critic. It was as a music critic that he first applied the term "minimalism" to Cornelius Cardew's work "The Great Digest" in The Spectator. This was just one expression of his interest in Experimental Classical Music which culminated in his writing the book "Experimental Music, Cage and beyond". Referring to the work of John Cage and others (with a foreword by Brian Eno and covering some of the work of Philip Glass) this is now held as a definitive reference work for this movement during its most significant period of evolution in the 1950s and 1960s. The book has recently been reprinted and is available from these links at Amazon.com in the US and Amazon.co.uk in the UK. This book's field of study observes a number of (some might say extreme) trends in music, which aim to explore the relationship between composer, performer and audience, and to re-evaluate what this strange phenomenon of music is all about in terms of the relationship between sound and silence, the theatre of music, or novel means of generating unpredictable sounds. One of its chapters was devoted to "minimalism", a term that Nyman is now credited with inventing. This form of composition relies on simple patterns and repeated figures, where the musical skill lies in subtle progressive or cyclical alterations to this tapestry to achieve its effects. In this sense it is not dissimilar in either structure or hypnotic impact to certain world music or some of today's pop dance music. Nevertheless Minimalism has some serious classical practitioners and Nyman himself is now arguably one the best known minimalist composers. He was commissioned by Birtwistle to arrange 18th century Venetian Songs for a play. A band was formed to play these which later became known as the Michael Nyman Band (dropping the original medieval instruments and introducing amplification), while Nyman himself started to write the Band's material. In this way, Nyman turned from poacher to gamekeeper, leaving music criticism to others while he pursued a career as a composer. Composing some significant music for the concert hall (an Opera "The Man who mistook his Wife for a Hat"), some orchestral works and much chamber music including four String Quartets and "Masque Arias" for Brass Quintet), he has also produced some fine music for other media (such as the computer game "Enemy Zero"), and forged a particularly strong relationship with film director Peter Greenaway resulting in many film collaborations. The music for these Peter Greenaway films was played by the Nyman Band, whose distinctive sound hinted at Jazz with its prominent Saxophones, but took short phrases and chord sequences mostly from the Baroque and Classical eras, and delivered these with gusto whilst repeating and varying sections using alterations in instrumentation and colour. 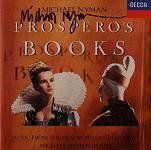 Nyman most frequently borrowed chord progressions from composers such as Henry Purcell, Mozart and Brahms. These were used as the basis for pieces resembling a classical form known as the "passacaglia" which is like a set of variations based on only a few bars of music with a consistent "ground base". One characteristic of Nyman's music from this time is that it simply stops abruptly when the last variation finishes, rather than being wrapped up with a concluding Coda. Though Nyman was to score several soundtracks for Greenaway, it was for a different director, Jane Campion, that Nyman's best known work was produced. The soundtrack to The Piano clearly illustrates his minimalist style, and yet demonstrates that it is both approachable and effective in this medium. Of all the tracks from "The Piano", it is "The Heart asks Pleasure First" which is the most popular and it can be heard in the UK currently accompanying the adverts for Lloyds/TSB. Nyman very sportingly played this piece live on television for the BBC's charity programme "Children in Need" in November 2001 (if you were still watching television after 1am in the morning). You can donate to this particular charity at the BBC Children in Need web-site. Nyman's music has evolved while he has worked with a number of different directors and film styles, so that it is no longer as strictly minimalist as previously. 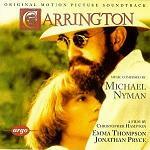 It still has a recognisable Nyman character, almost invariably with strings and woodwind of some kind. Nyman seems to use brass and voices less frequently, and percussion hardly at all. The music for "Gattaca" seems more conventional in comparison with "The Piano" and is a good example of that evolved style. It is understated yet still extremely powerful in emotional impact as is some of the music for "The Claim". 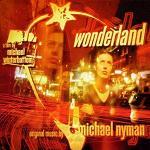 His music for "Wonderland" also stands out as packing an emotional punch, particularly a cue used to accompany a scene where a character gives birth. 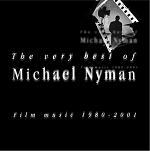 If you are creating a film and want it to sound serious, as opposed to a typical Hollywood frivolity, then choose Nyman for the soundtrack. Like other film composers, Michael Nyman gives regular concerts of his music and we would recommend these events to anyone who enjoys his music on film and CD. 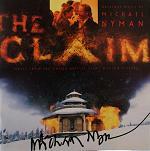 The concerts might be the more intimate grouping of the Michael Nyman Band such as his recent concert in Glasgow called Man with a Movie Camera, or they might be grander occasions such as his concert with the BBC Concert Orchestra called Michael Nyman music from the movies for which mfiles ran a competition to win tickets. Michael Nyman has been known to introduce himself to a French audience as "The English Yann Tiersen" so if you like Nyman's music you might wish to sample some by Tiersen (or vice versa). 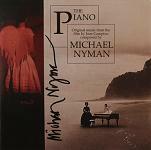 To promote his new album "The Piano Sings" Nyman embarked on a solo tour playing at a number of venues across the UK in October and November 2005. 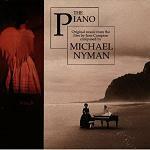 New sheet music called "Michael Nyman: The Piano Collection" was released at about the same time including many tracks from the album and is available from this link at MusicRoom. 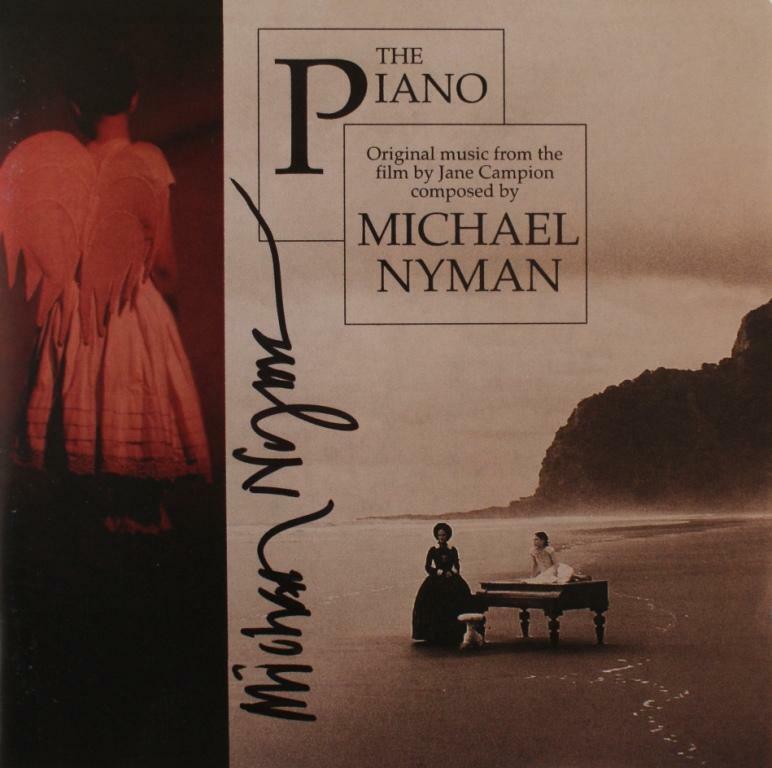 Michael Nyman regularly re-visits, re-records or even re-arranges his music (whether soundtracks, instrumental works, song cycles or operas), and these new versions have frequently appeared on his own record label MN Records (mnrecords.com). 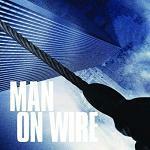 One unexpected example of his music being re-used was on the soundtrack for the documentary film "Man On Wire" which dramatises the story of dare-devil high-wire artist Philippe Petit whose most spectacular stunt was to cross (illegally) between New York's Twin Towers in 1974. The wirewalker practiced his skills daily while listening to music, and it was Petit himself who suggested Nyman's music for the film based on his extreme high-wire stunts. 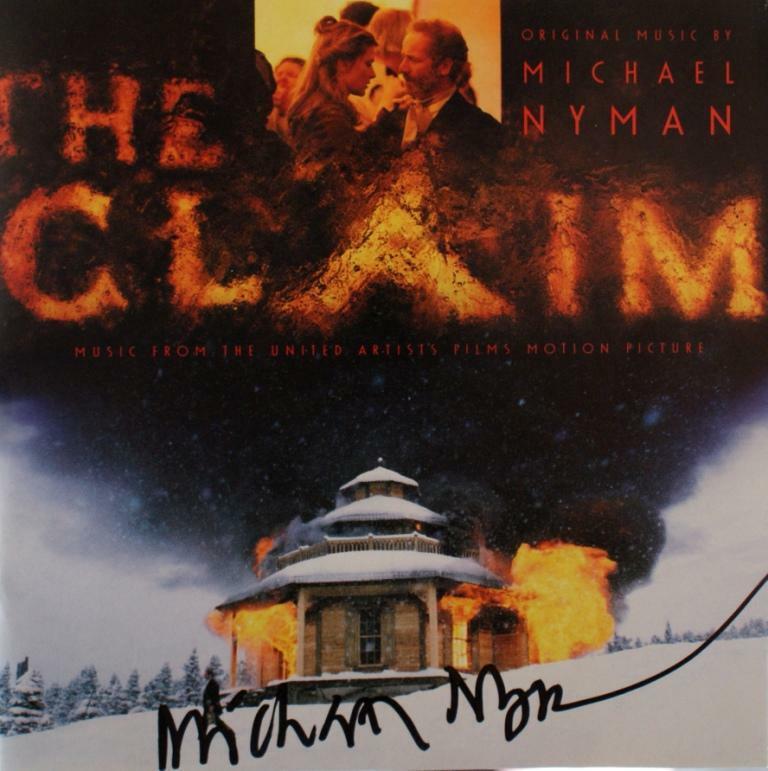 The director James Marsh approached Michael Nyman and a deal was agreed giving the film access to the composer's back-catalogue. The resulting soundtrack album contains 12 tracks by Nyman (often later recordings rather than original soundtracks), two new tracks by young composer Josh Ralph which open and close the film, and Erik Satie's Gnossienne No.1 and Gymnopedie No.1, two further pieces which Petit listened to while practicing. The album is available at Amazon.co.uk and Amazon.com. In a curious example of music recycling, Michael Nyman's track "Chasing Sheep is Best Left to Shepherds" from the soundtrack to "The Draughtsman's Contract" and based on music by Henry Purcell, has now been used by the Pet Shop Boys in their album "Love is a Bourgeois Construct" with added vocals and drums. One of Michael's daughters Molly Nyman, is also an established composer for film and television, frequently working on her film projects with the composer Harry Escott. 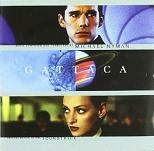 Gattaca - a carefully atmospheric mix of hope and sadness, and watch out for the Schubert piece with extras played in the film by a 12-fingered pianist! The Commissar Vanishes - a stage work based on musical material from his earlier production "The Fall of Icarus"
Enemy Zero - the Computer Game, some of whose music was re-used on the music for "Man with a Movie Camera"
Michael Nyman - sheet music for "Wonderland" - MusicRoom (UK), the tracks called "franklyn", "nadia", "debbie", "jack" and "bill"
Michael Nyman's official web-site is at www.MichaelNyman.com. Here are some CD covers signed by Michael Nyman. Our thanks to Petr Kocanda for permission to use his collection of autographed CDs. Click any thumbnail below to see the image full size in a separate window.